Do you dig virgins? You will after you hear the brand new self titled EP from the Born Again Virgins. I had the distinct pleasure of listening to the EP ahead of the official release and I was quite impressed. But perhaps impressed is not the right word. Impressed is what I might be if this were the band’s 3rd or 4th release… Rather I was blown away that what I was hearing was the debut release from this band! Some of the most distinctive qualities of the Virgins’ music exist in pairs. Their EP has a very mature sound while maintaining the raw energy one might expect from an initial release. The vocals are incredible, nay badass, without losing the femininity of vocalist Anna Roenigk. The melodies, rhythms, and grooves of Chris Garrigues on guitar, Taylor Turner on bass, and Paul Piñon on drums are a striking blend of punk-grunge power with softer sounds and progressions. 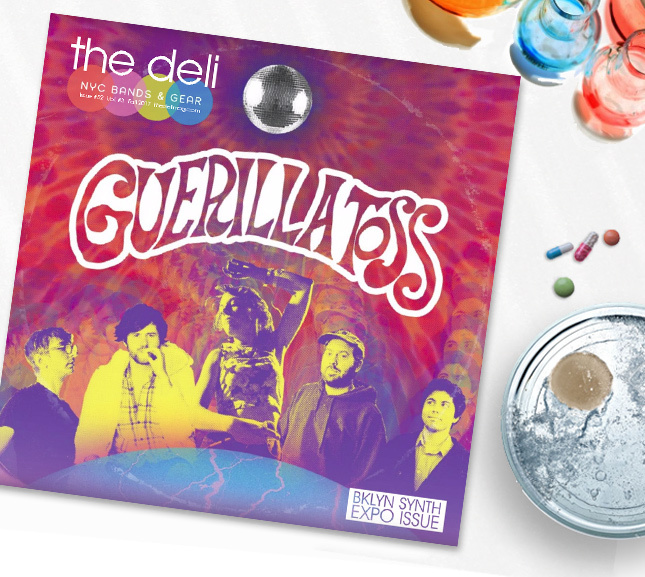 The juxtaposition of sounds hearkens back to the good ol’ days of bands like the Pixies yet the Virgins still present fresh, unique, and contemporarily relevant music. 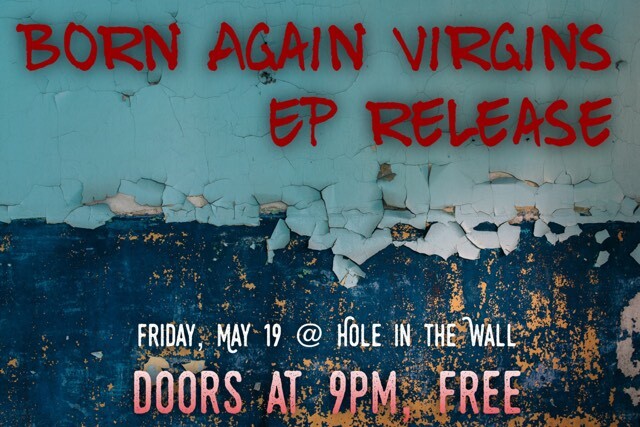 If you only go to one EP release this year make it the Born Again Virgins May 19, 9pm at Hole in the Wall. Be there or be square! 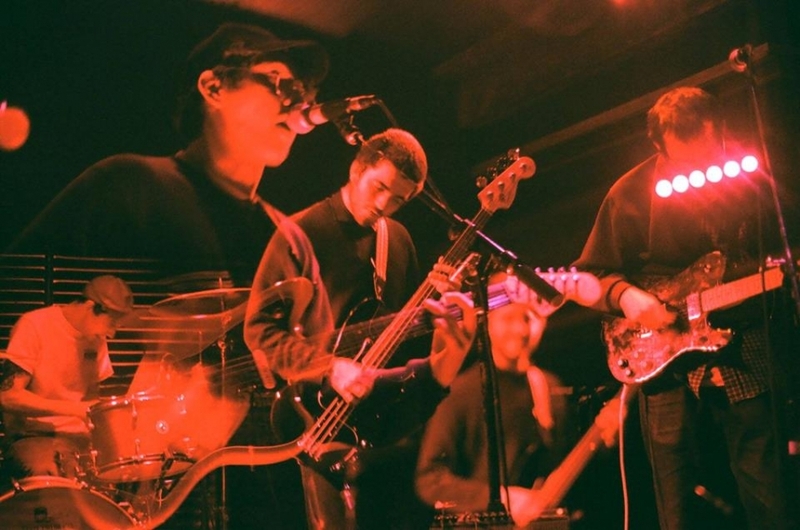 The Bay Area based band, Pardoner is playing a string of shows at SXSW and we think you should go check them out. They will be sharing the bill with fellow Bay Area artists, PLUSH on March 15th and March 17th so if you’re a fan of both bands, you can skill two birds with one stone! 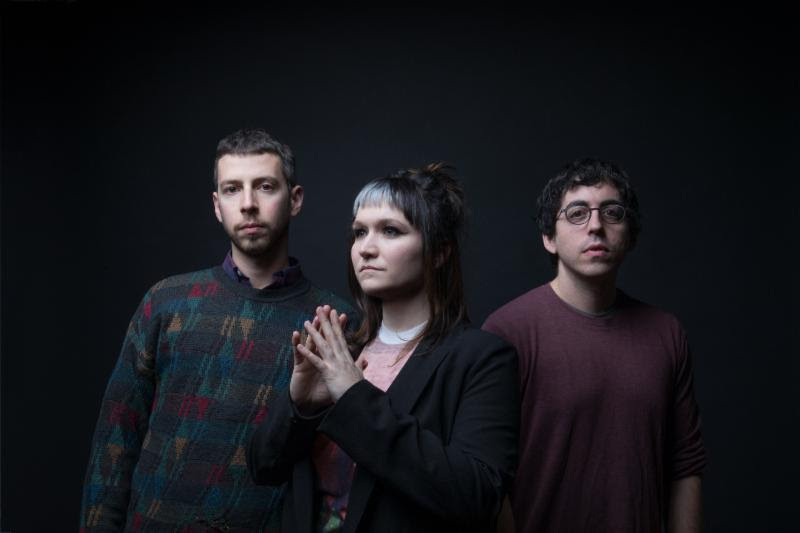 Get the full details of their SXSW tour here. 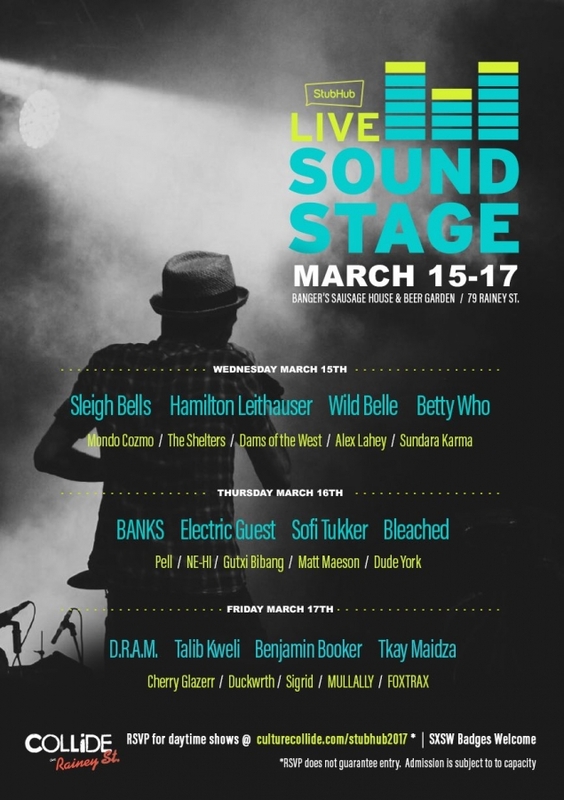 The San Francisco based ticket service, StubHub is throwing a great showcase at SXSW with week! Its third annual three-day showcase of daytime and evening performances at the South by Southwest (SXSW) music festival on March 15-17. Hosted at Banger’s Sausage House & Beer Garden, the dynamic lineup of emerging and established talent includes Sleigh Bells, Hamilton Leithauser, Wild Belle, BANKS, Electric Guest, D.R.A.M., Talib Kweli and Benjamin Booker. This year’s lineup represents a wide range of genres with rock, pop, hip-hop, electro-pop and indie, with artists from a dozen countries. Performances will begin at 2 p.m. each day and continue through the evening, allowing attendees to enjoy more than two dozen acts in an intimate venue, along with Banger’s famous homemade sausages, 100+ beers on tap and a relaxed outdoor setting.